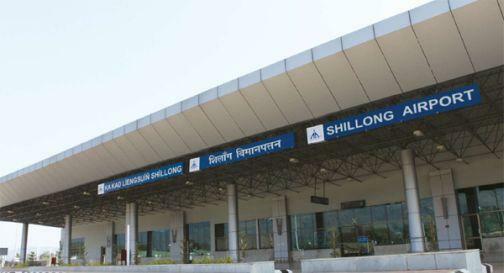 The Airports Authority of India (AAI) has signed a memorandum of agreement (MOA) with the Meghalaya Government for the construction of individual household latrines for the residents of villages surrounding the Shillong Airport in Umroi. The MOA was signed under the corporate social responsibility programme of AAI in the presence of Ri Bhoi Deputy Commissioner, Rosetta Mary Kurbah and Shillong Airport director, Manoj Kumar Nayak on Monday. The project would cover villages in Umden Akra, Umden Mission, Umden Umsatprah, Nongrah (Lumsiehlama), Nongrah (lew Umroi) and Umktieh Nongshiliang. According to sources the estimated cost of the project is Rs 92 lakh and the estimated time of completion is one year. Notably, the AAI had on June 20, 2018 signed another agreement with the Meghalaya Government for the construction of washing areas, protection wall and bathing cubicles in the Umroi area under its CSR programme. The estimated cost of the project is Rs 16.34 lakh while the estimated time of completion is 10 months.